UPDATE 1800 GMT: A day after Parliament postponed its next meeting to August 12, Acting Speaker of Parliament Mehdi al-Hafidh said the session will now be on Friday. “Any delay in this could jeopardize the security of Iraq and its democratic course and increase the suffering of the Iraqi people,” al-Hafidh said. 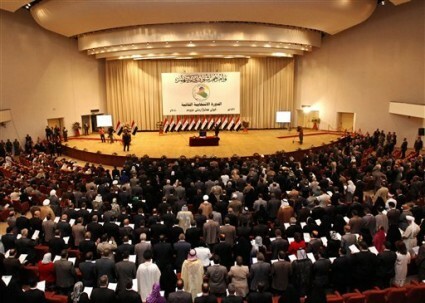 Having failed for a second time to address Iraq’s political crisis, Parliament has postponed meeting until August 12. The legislators were supposed to convene on Tuesday to try again to name a Speaker, President, and then Prime Minister. However, the session was cancelled on Monday. According to sources, disputes over the candidates for Speaker, who is supposed to be a Sunni Muslim, forced the cancellation. Parliament convened briefly on July 1 before a walkout by Kurdish and Sunni MPs left the chamber without a quorum. In April 30 elections, the party of Prime Minister Nuri al-Maliki won the most seats, but fell far short of a majority. Efforts at building a coalition have been limited. Meanwhile, insurgents accelerated their offensive in early June, moving from western Iraq to seize cities such as Mosul and Tikrit in the north and to advance towards Baghdad on three fronts. Al-Maliki has resisted pressure to step aside, saying he would seek election to another four-year term by the Parliament. The Islamic State has claimed responsibility for suicide bombings in Baghdad which killed 12 people on Sunday and Monday. The Islamic State posted web photos of two men with scarves covering their faces, posing with machine guns in front of its black-and-white flag and machine guns. It said they were Lebanese and Libyan. Five people were killed in the first blast at a cafe in the Washash district on Sunday night. Four police and three civilians were killed on Monday at a checkpoint in Kadhimiya, a northern neighbourhood. The United Nations has condemned the Islamic State’s executions of 13 Sunni Muslim clerics last month in Mosul, Iraq’s second largest city, and called for greater attention to the incidents. Among the slain clerics was the imam of the mosque where the Islamic State leader Abu Bakr al-Baghdadi appeared to lead last Friday’s prayers. It’s important to focus more attention on these particular killings, because here we are not talking about Sunnis versus Shias. This is a very clear case of atrocities committed against their own people, against religious leaders from Sunni Islam who probably have a less simplistic understanding of what Islam means. 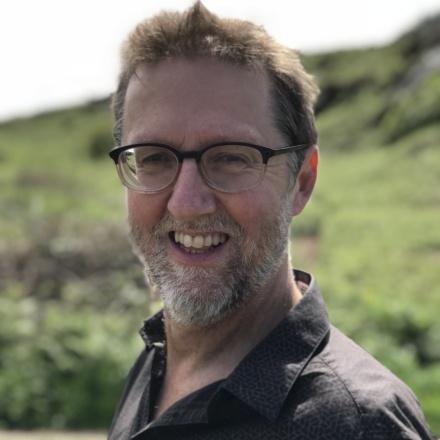 Bielefeldt, a professor of human rights and human rights politics at the University of Erlangen-Nurnberg in Germany, said the purpose of the executions was to silence critics of extreme movements. A resident of Mosul who once worked at the Great Nurridin Mosque, where al-Baghdadi preached, said that the Islamic State is now dictating the content of Friday sermons in Mosul. Vice President Tareq al-Hashimi, exiled under threat of a death sentence, has maintained that the Iraqi insurgency is a ong-time Sunni revolt against the Government of Nuri al-Maliki. “We shouldn’t look at this development of ISIS (Islamic State) as apart from the uprising of the Arab Sunni provinces over two years,” Hashimi said in an interview from Turkey, where he has lived since he was convicted in absentia on murder charges brought by the al-Maliki Government in 2012. He continued, “The provinces have done a peaceful Sunni revolt against the oppression, the injustice, the inhuman conditions the Arab Sunnis have been suffering for years,” citing crackdowns and killings by security forces and police in cities such as Fallujah, Madian, and Hawijah. “There is anger against Nuri al-Maliki and the behavior of the government over almost eight years so there was no other option other than to go into Sunni revolt,” al-Hashemi contended. I can assure you a widespread spectrum of groups participated in what happened in Mosul (captured by insurgents on June 10). The media is focusing on ISIS. They are influential and empowered on the ground and they are participating in this armed revolution. But we shouldn’t be blamed for that.